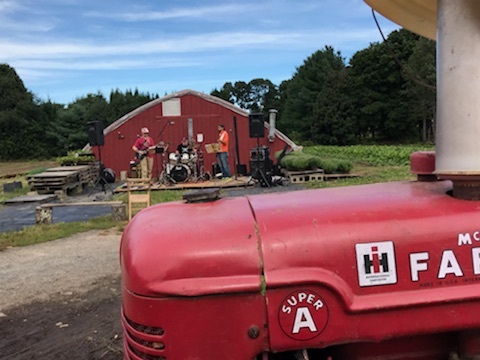 Last weekend we welcomed hundreds of people to the farm for our 5th annual Harvest Festival! Thank you to everyone who came, and many thanks to those who pitched in! 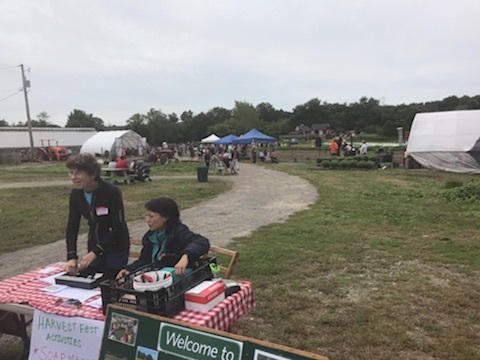 We saw many long-time members, new neighbors, and first-timers. 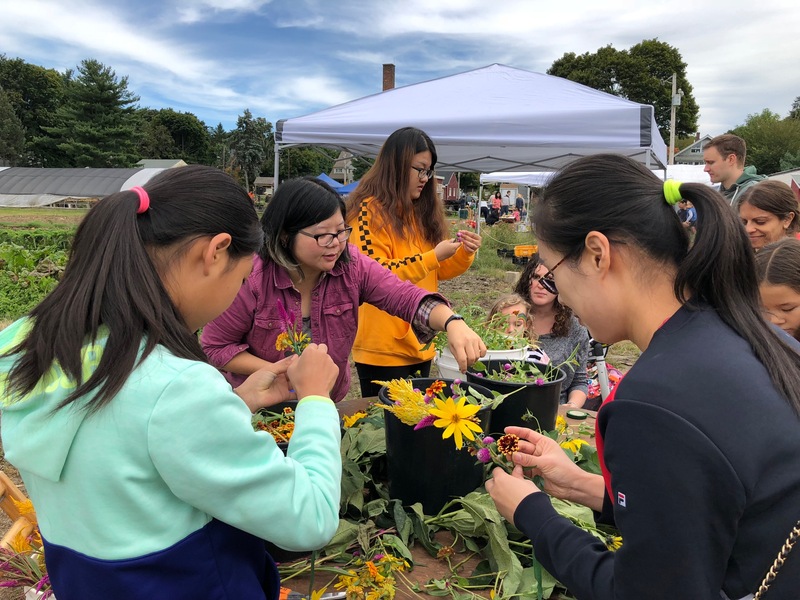 Attendees enjoyed picking cherry tomatoes and sunflowers, learning how to preserve tomatoes, learning how to make flower crowns, painting pumpkins and faces, listening to live music from our Board Treasurer’s band, and of course, hanging out with the animals at Silk Fields! 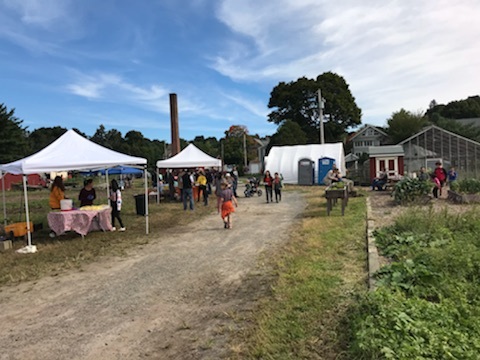 My personal highlight of the Harvest Fest was hearing from a very excited tiny girl that a goat had just eaten the flower bracelet off her wrist! 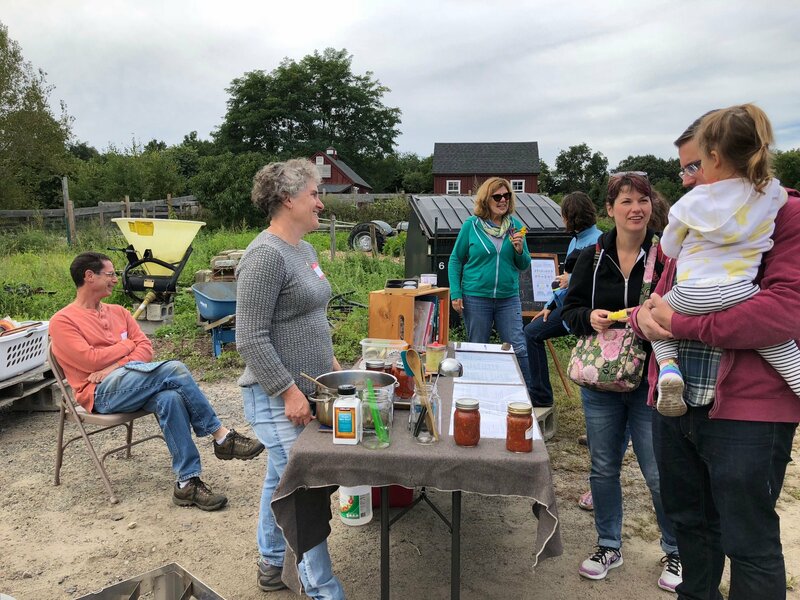 Finding new ways to share the harvest and fields of LexFarm with our community speaks to the heart of our mission, and is the reason we all enjoy being a part of the farm. As the season turns and we welcome fall on the farm, make sure you too have a chance to soak up the sun this week at the picnic tables in the Learning Garden, savor the taste of a fresh crunchy string bean in the field, watch the geese fly overhead (hopefully to another landing zone this time), and enjoy the lush green around you. Feel free to bring a picnic dinner and stay for the golden hour! 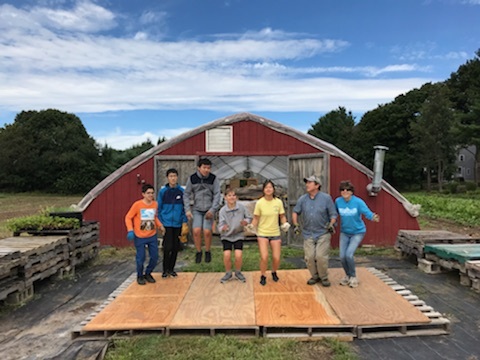 (left) LHS volunteers and Board Members Mark and Mary Rose jump for joy after setting up the stage at Harvest Fest.